HMD Global in May 2018 has launched Nokia X6 in China. Then one month later they introduced Nokia X5 . 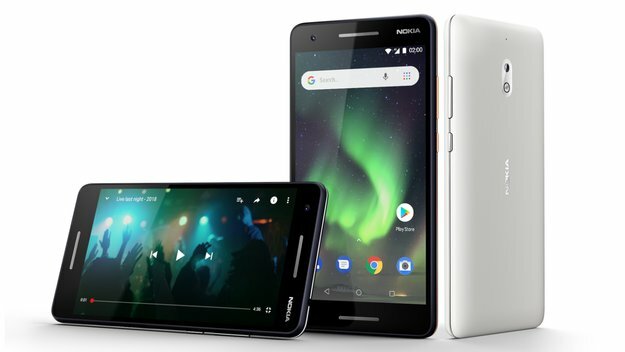 Both of these smartphones follow the latest trends, namely bangs at the top of the screen and at the same time make the first Nokia smartphone that has bangs. As they promised, both of them will be brought to the global market. This is also evidenced by HMD Global by releasing Nokia 6.1 Plus , another name for Nokia X6 and Nokia 5.1 Plus , another name for Nokia X5. Both have been officially launched on the Indian market. A little information for you, beforehand HMD Global also sold Nokia 6.1 Plus in the Hong Kong market in July 2018. This smartphone comes with 4GB of RAM which is a loyal friend of the Snapdragon 636 chipset . Speaking of embedded CPU support, there are eight 260 Kyro cores that have a 1.8 GHz clock speed, plus Adreno 509 GPU. This smartphone has also been equipped with 64 GB of internal storage and a microSD slot that can accommodate additional data up to 512 GB. Nokia 6.1 Plus arrived with a 5.8 inch Full HD + LCD screen. Because it has bangs, the screen ratio is very high, which is 19: 9. The screen is also protected by Corning Gorilla Glass 3. The support is a dual-camera 16 MP + 5 MP. This smartphone comes as part of the Android One project. That is, Nokia 6.1 Plus runs on the pure Oreo Android operating system that is promised to have three years of security issues and two years of support for the operating system. There are two color choices offered, namely black and white. In the Indian market, Nokia 6.1 Plus is priced at INR 15,999 or around Rp.3.3 million . Unfortunately HMD Global does not want to talk much about any country other than India and Hong Kong that will take part in tasting Nokia 6.1 Plus. Unlike Nokia 6.1 Plus, the chipset in the Nokia 5.1 Plus body is MediaTek Helio P60 Octa-core that is integrated with the Mali-G72 MP3 GPU. The combination of RAM and internal storage is also quite large, namely 3 GB / 32 GB which is also still supported by a microSD slot up to 512 GB. For the screen, Nokia 5.1 Plus has a size of 5.8 inches HD +. There is also a dual-camera rear support that has a 13 MP + 5 MP configuration. As for the front, this smartphone has been equipped with a selfie-camera with 8 MP resolution. Nokia 5.1 Plus also entered the Android One project. Available in black, blue and white, unfortunately HMD Global has not announced the official price of this smartphone. As planned, the new HMD Global will market Nokia 5.1 Plus starting in September 2018 .